Innercise Yoga is designed to balance the body, clear the mind, and activate awareness. Based on the fundamentals of Vinyasa yoga, this empowered flow provides a series of balanced asanas to enhance and expand not only your strength, but also your center. In this expansion, the unconscious becomes conscious allowing the ego body to transcend to Universal Consciousness and ignite Divine knowledge. The intention of this practice is to cultivate this bliss in your daily journey. Biography: As childhood dancer, Kelsey Reed has always felt best in tune with her mind and body. After a few failed high school attempts with yoga, she found her love for the practice in college during her parents’ divorce, heartbreak, and family addiction. 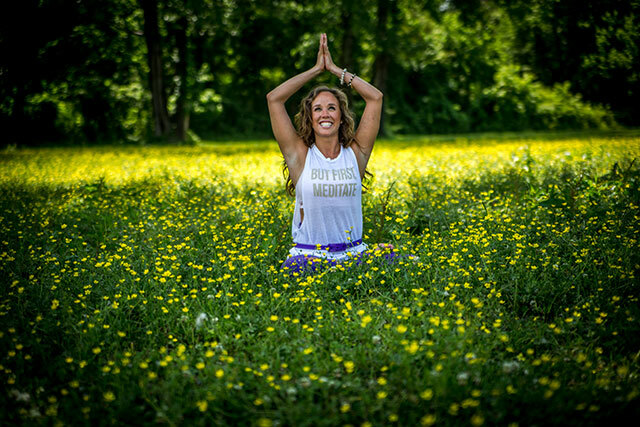 Since 2009, Kelsey Reed has been an avid yoga practitioner. In 2012, she received her RYT-200 from Asheville Community Yoga Center and has now received her E-RYT for over a 1,000 hours of experience teaching. Since being certified and earning her degree in Health & Wellness Promotion at the University of North Carolina at Asheville, she has dedicated her life to sharing this practice to improve and motivate the health and growth of others. Kelsey Reed also traveled to India in 2015 to explore yoga in its true origins. She has attended retreats and workshops with Rachel Brathen, Jenn Pastiloff, and Alanna Kaivalya.